Our menu has been put together after years and years of traditional Greek and European baking, amazing feedback from food critics, and unique recipes that have been passed down Despina’s family tree. This one of a kind pastry made with crispy phyllo, home made ricotta cheese with a touch of cinnamon, sugar, and lemon zest sprinkled with powdered sugar. 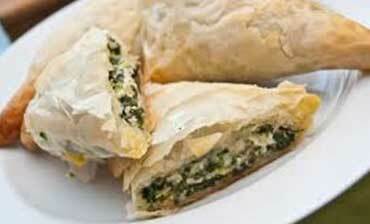 This is a very traditional Greek pastry made with feta cheese, spinach, phyllo, and a special touch from Despina. 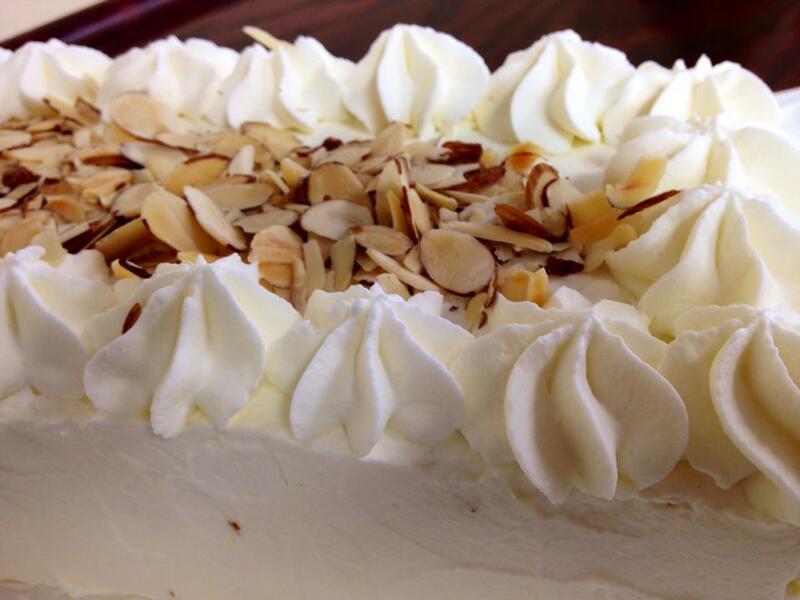 A very light and fluffy cake made with ground almonds, filled with patisserie cream sweetened to perfection, and can only be found at Despina’s Cafe. 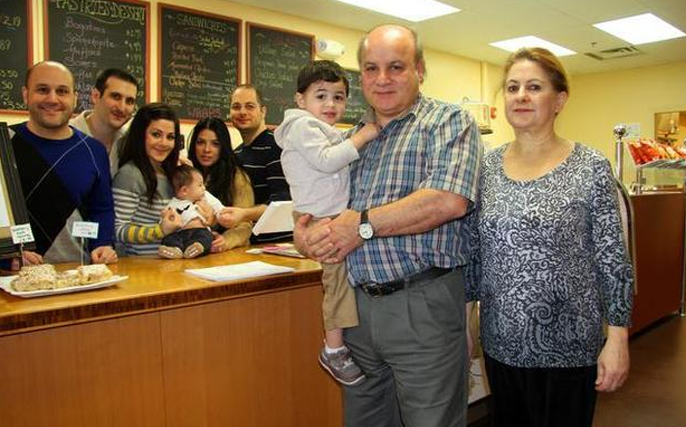 My name is Despo Georgiou and as the owner of Despina's Café, ever since I can remember, cooking and baking has been a passion of mine. My mother was a great cook. I learned from watching her as a little girl and thinking I wanted to bring through food the same joy my mother provided to me and my family through her delightful food and desserts. With her arsenal of recipes by my side and my love and desire for baking, I found myself in the kitchen every spare second I had trying to replicate and improve her already near perfect baking techniques. After graduation from high school in my hometown of Cyprus I decided to adventure out into the world and choose England as my destination to complete my studies. This was a very exciting time of my life and greatly broadened my culinary skills. I met my husband there, got married, and had three children. Our specials are based on what our customers are requesting, or what our bakers feel will be absolutely tasty, or whatever Despina creatively feels her customers won't forget after a taste. 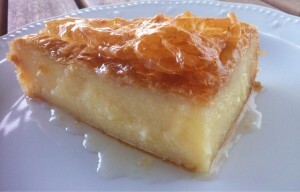 A very traditional Greek dessert made with semolina custard topped with layers of phyllo pastry, and drizzled with home made syrup. 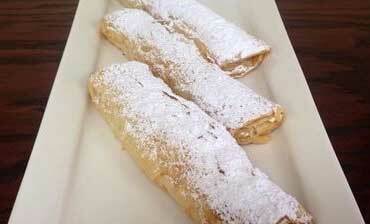 This is a secret recipe that Despina has locked up in her little Greek cook book. Try it to see how wonderfully your taste buds will react. 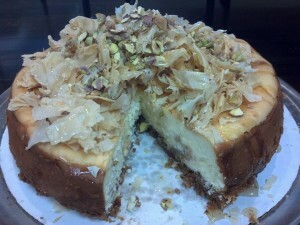 If you like Baklava, then you will truly enjoy this Cheesecake delicacy. 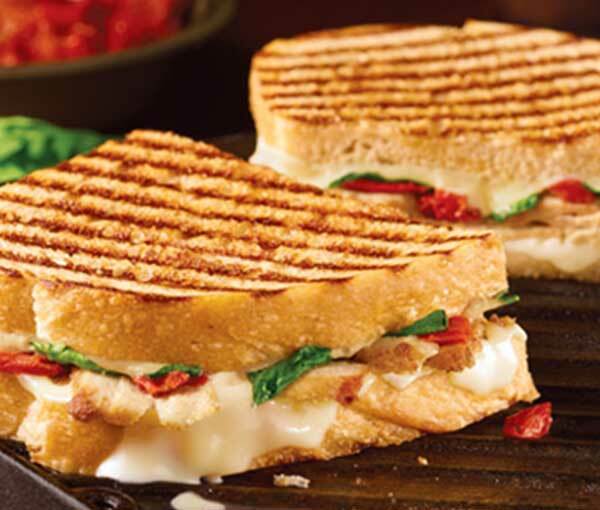 This tasty panini includes slices of fresh toasted peppers, marinated in balsamic vinaigrette, olive oil, and fresh herbs. Served with the choice of goat or mozzarella cheese. 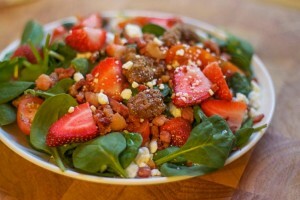 This talked about salad includes organic spinach, fresh strawberries, roasted pecans, goat cheese, and balsamic vinaigrette.